Donald K. Alper is professor of Political Science and Director of the Center for Canadian-American Studies at the University of Western Washington. His recent research and publications deal with Canada-US environmental issues and transboundary linkages in the western Canada-Pacific Northwest international region. Daniel Hiebert teaches in the Department of Geography at the University of British Columbia. He coordinates research on housing and neighbourhood change at the Vancouver Centre for Research on Immigration and Integration in the Metropolis. Scott Kerwin graduated with an M.A. 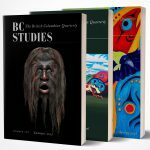 in History from the University of British Columbia, focussing on British Columbian, Tibetan, and modern Chinese history. He recently graduated from Osgoode Hall Law School in Toronto and is returning to Vancouver to practice law. Debra J. Salazar is professor of Political Science at the University of Western Washington. Her research and publications focus on the role of social justice in the discourse and practice of environmentalism. She is particularly interested in how increasing diversity within the environmental movement is transforming environmental politics. Bruce Stadfeld, a Fulbright Scholar, is a doctoral candidate at the University of Manitoba writing on the environmental history of river development in British Columbia. Peter Trower was a logger for twenty-two years before he turned to writing poetry and fiction. He divides his time between Gibsons and North Vancouver. His most recent book of poetry is Chainsaws in the Cathedral. Sue Wheeler lives, farms, and writes on Lasqueti Island, BC. Her first collection of poems, Solstice on the Anacortes Ferry, won the Kalamalka New Writers Award in 1995. Her second book will be published in Spring 2000 by Brick Books.